Our friends at the land power forum blog run by the Directorate of Future Land Warfare have just published an important report  on Australian special operations. Written by LTCOL Ian Langford, the report provides policy makers, strategists, and operational planners with a better understanding of the utility, capabilities, and future of Australia’s special operations forces (SOF). While the report succeeds in explaining these important ideas, there’s a danger some readers will come away with unrealistic expectations of Australia’s talented, but small and constrained, SOF organisation. SOF aren’t a panacea for Australia’s strategic challenges. The broad spectrum of activities, missions, and expectations of SOF could lead to the cardinal sin of all special operations; confusing enthusiasm with actual capability . Langford presents a theoretical background for special operations by citing Admiral William McRaven’s theory of relative superiority . The idea is simple. Special operations are successful when a highly specialised force, through precise and well-rehearsed plans, is able to achieve relative superiority at a decisive time and place. Those operations require specific skills in ‘operators’ (the guys we think of when we think of SOF). Australia’s well known for having good ones. Yet, equally important, those operations also require an array of supporting talent, systems, and capability from integrated ‘enablers’ (the guys behind the scenes). Australian SOF isn’t known for those enabling capabilities, largely due to the small size of its SOF organisation. But even these kinds of missions, sometimes referred to as ‘hyper-conventional ’, are only half of the special operations spectrum. The other side of special operations involves indirect action. Langford really doesn’t include those in his theory section, though he discusses them in the five ‘traits’, 10 premises, six principles, and four future missions of Australian SOF. The US calls this side of the special operations spectrum, ‘special warfare’, which refers to those missions that Australian SOF are currently undertaking in Iraq and those assigned most recently in Afghanistan. Special warfare requires SOF to work through and with indigenous forces whose political, cultural, and professional characters may vary widely. It involves advising, assisting, and even accompanying indigenous forces to influence their activities toward common objectives. Therein lies a problem. Australian SOF maintain primary missions of direct action and reconnaissance, often in the context of counter terrorism. That requires a high level of specialisation and precision in certain skill sets. Yet, Australian SOF keep getting tasked to do the special warfare mission, one that typically requires a different and more diverse set of skills. True, there’s some important overlap—it’s hard to teach and advise about something if you’ve never done it—but these are different missions that require unique capabilities, education, personalities, preparation and training. There’s currently no school or comprehensive training program in the Australian SOF that teaches the art of special warfare. 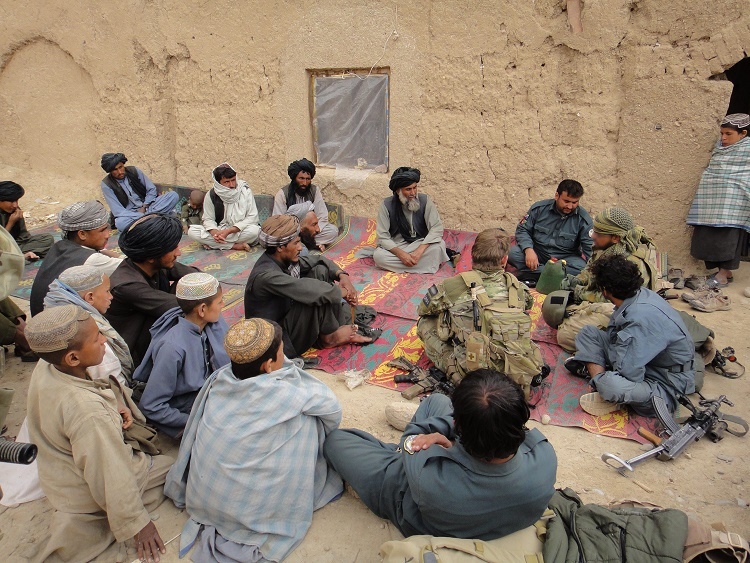 As Langford points out, in addition to precision raiding skills, these special-warfare missions require, ‘language proficiency, cultural awareness, political sensitivity and the ability to use information-age technology in combination with extant military and weapon skills that define their role in the military—in essence, they must be “soldier-diplomats”.’ That’s a tall order for any organisation that also needs to be highly specialised in counter-terrorism missions. Does Australia’s SOF really have the depth of people, the training and education facilities, and the talent-management system to be able to do all that? Is it effectively leveraging the non-SOF elements of the ADF to integrate necessary talent and enablers? The report continues to highlight expectations for special operations. In the midst of his traits, premises, and principles, Langford lists diverse demands placed on Australia’s SOF operators. Then, in the section on the future, he explains why they may be asked to do more, including disrupting anti-access and area denial and waging influence campaigns. ‘SF are likely to conduct more counter-terrorism and influence campaigns in addition to their traditional roles such as point-of-entry seizure, direct action, special reconnaissance and special recovery operations.’ There’s a fundamental problem with the idea that any force of human beings can be prepared and optimised for everything. It’s a logical fallacy. People prepared for everything are, by definition, optimised for nothing. If Langford’s correct, and I think he is, Australia needs to reassess how it selects, educates, organises, and commands its SOF. Given the small size of Australia’s SOF, there’s also a need to seamlessly incorporate enabling capabilities from the conventional force and from allies. Not too long ago, ASPI published a report on Australian SOF . The recommendations from that report are an important step in the right direction, especially funding small-scale capability projects (more enablers), establishing an ADF joint-capabilities manager, and leveraging linkages with allied SOF organizations. If Australian SOF are going to meet the challenges in Langford’s report, real changes still need to be made. With so many high expectations of SOF, we should remember that enthusiasm and talented people don’t equal real capability. Lieutenant Colonel Jan K. Gleiman is an active duty US Army officer and a visiting fellow at ASPI from United States Pacific Command. These are his personal views. Image courtesy of Department of Defence .